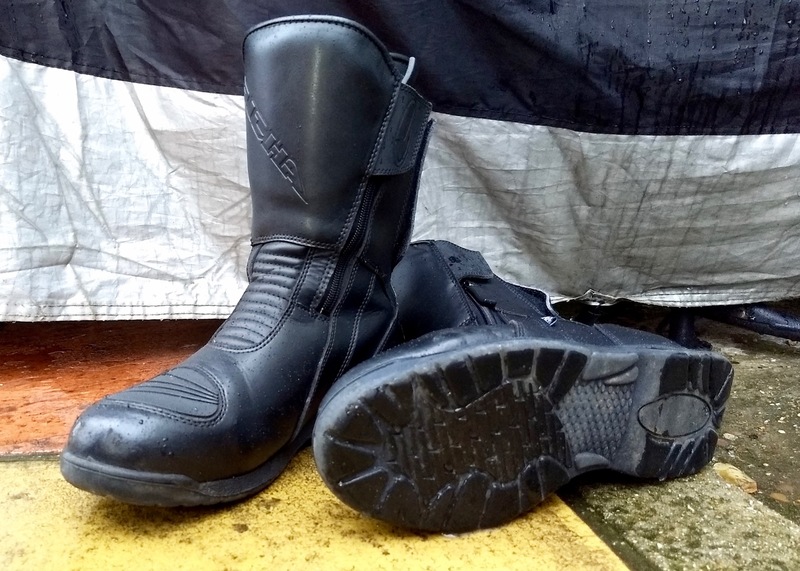 They are plain basic black boots mid height made from waterproof leather. 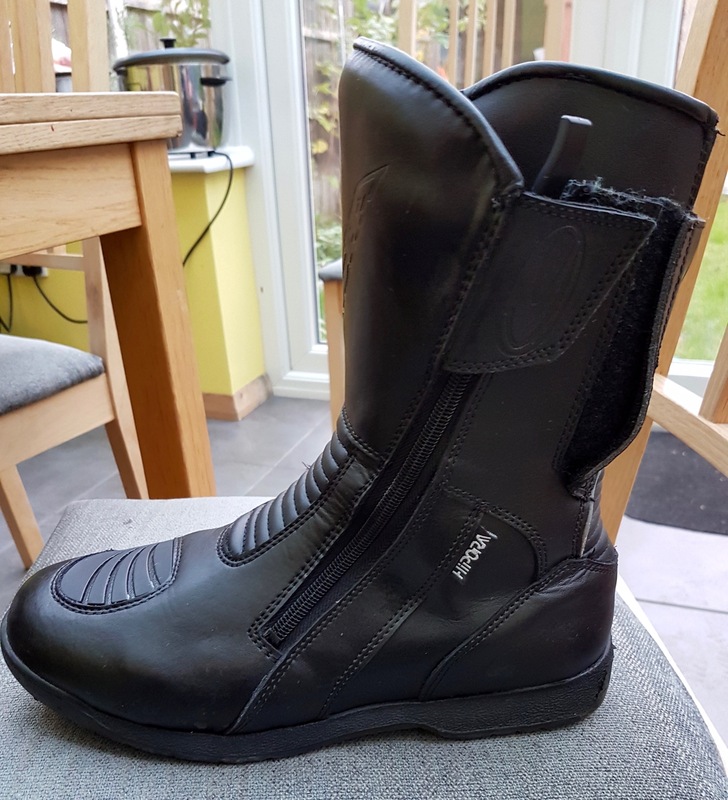 The mid height boot is good for shorties like me because it does not impede my knees, but still provides valuable armour and protection around the front of my leg. 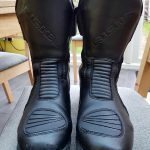 The boots have an inner black ‘sleeve’ that your leg and foot goes into. The outer construction of the boots is quite clever- there are two zips, one each side. 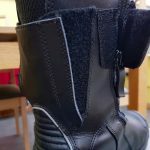 Once the zips are fastened, the sides can be adjusted via the back flap which has velcro down both sides. 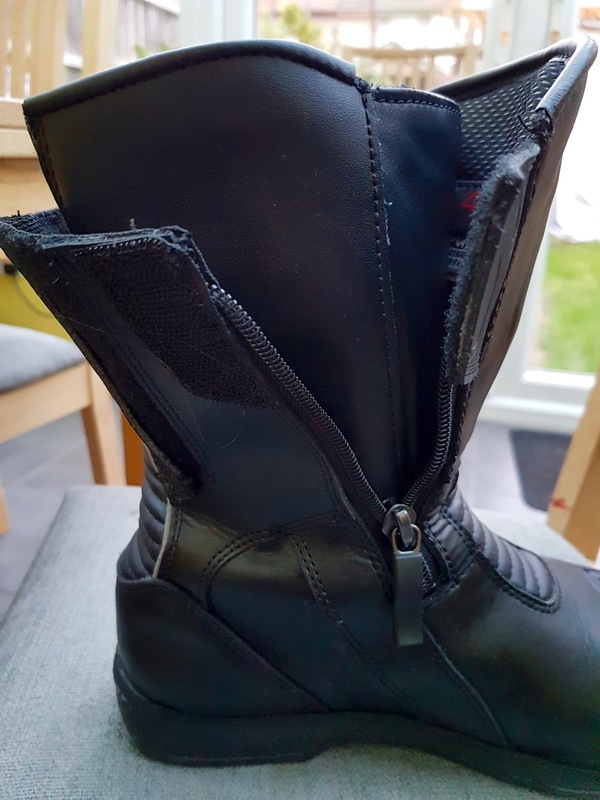 This can be detached and reattached as necessary to alter the calf width of the boot. Once fastened it stays put. This is a great feature for those of us with wider legs as it isn’t too tight but just the right width. 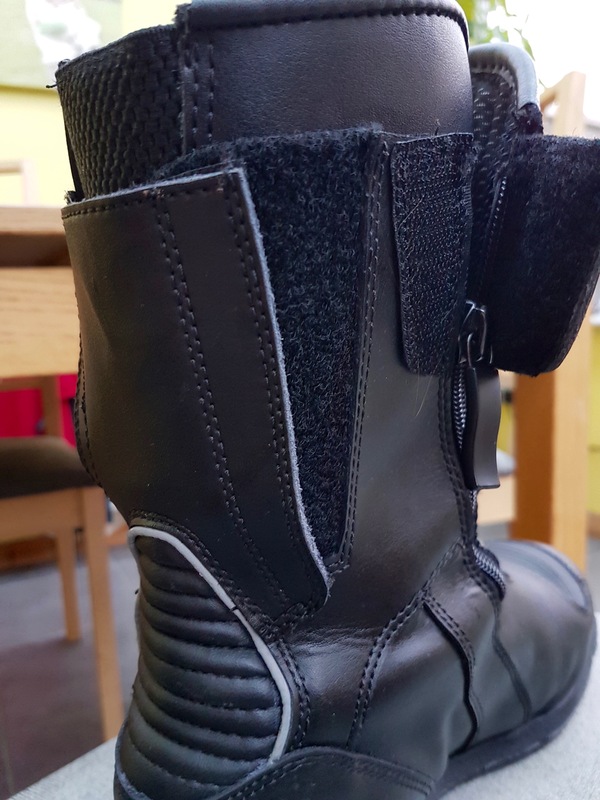 Once the boots are fastened and velcroed they are very secure and feel very protective. 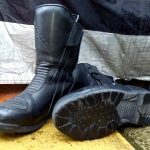 On the bike the boots sit squarely on the footpegs and do not slip around. They were quite stiff initially but have softened up with use. They have proved to be waterproof in light rain, but have yet to experience a serious soaking. 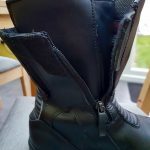 the sides can be adjusted via the back flap to alter the calf width of the boot. This is a great feature for those of us with wider legs. 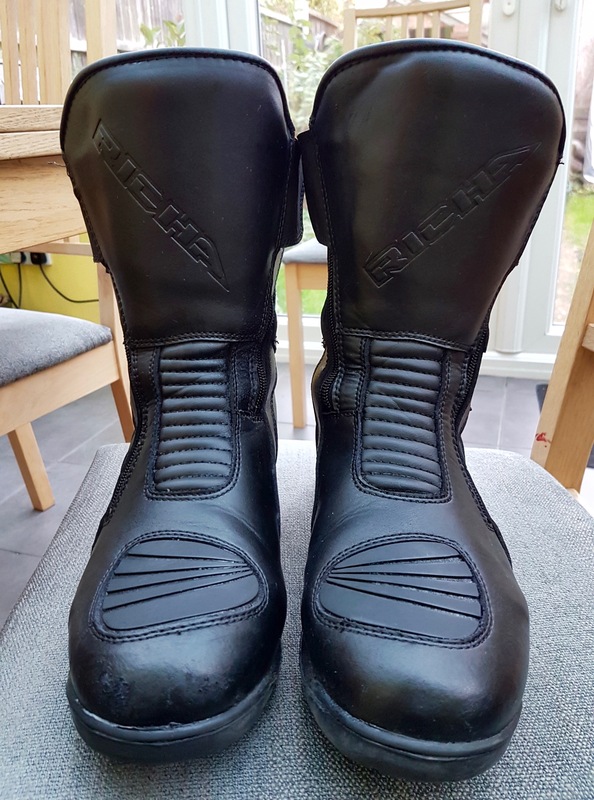 In conclusion I would say these are a good value no frills boot. They are reinforced where the gear lever rubs against the foot so should last well against lever rubbing. The one snag I have noticed is that the very tip toes are slippery and lack grip. 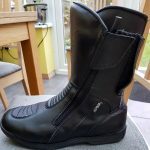 For most people this is not a problem but for me it can be an issue when riding because I am only able to get the balls of my feet down at most, so grip is important. Still I am still pleased with these boots and find them very comfortable.